For the last several years, Neil Young been working on a digital music service called PONO, which he says will enhance the quality and compression of MP3s. Now, as The Guardian reports, it’s finally ready to make its debut at South by Southwest on Tuesday. In anticipation, the company has detailed its portable listening device, the PonoPlayer, a 128GB triangular, touchscreen gadget priced at $399. (For comparison, a 64GB iPod touch retails at the same price). Though no official on-sale date has been revealed, a Kickstarter campaign will launch on March 15th with the PonoPlayer available for pre-order at a discounted price. With 128GB onboard storage and space for memory card expansions, the PonoPlayer is said to store “1,000 to 2,000 high-resolution digital-music albums.” These numbers, however, have already come into question on sites like Computer Audiophile. User goldsdad, for example, points out that a 128GB device “typically stores fewer than 500 albums in 16/44.1 FLAC [a prominent high-lossless format].” Details regarding how PonoMusic goes about compressing its files have yet to be fully discussed. 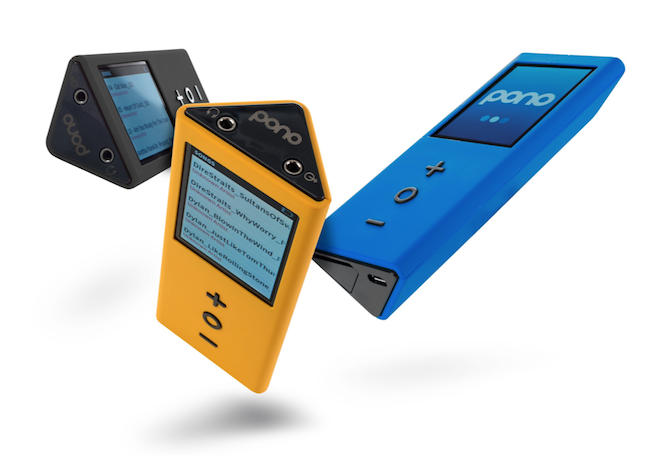 In addition to the player, PonoMusic will offer a desktop “media management application” where users can download, organize, and sync tracks to the PonoPlayer as well as “other high-resolution digital music devices.” The site will also offer downloads of songs formatted from “artist-approved” master recordings taken from from “both major labels and prominent independent labels.” PonoMusic recommendations for earbuds and headphones will also be sold through the site. Finally, while early-bird pledgers have already snapped up the $200 pre-sales, $300 black and yellow PonoPlayers are currently available via Kickstarter. What’s more, for $400 pledgers can get a special edition “Artist Signature Series” PonoPlayer from the likes of Young, Arcade Fire, Pearl Jam, Foo Fighters, Herbie Hancock, Tom Petty, Beck, Patti Smith, and others. Limited to just 500 for each artist, the chrome players are numbered and engraved with the artist’s signature, plus come loaded with the artist’s all-time favorite two albums. 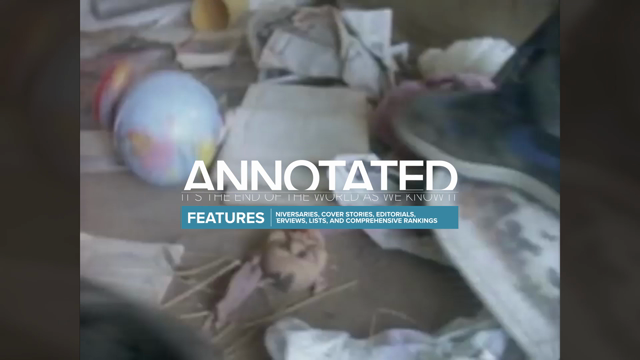 Below, watch the Kickstarter video promoting the project, plus watch Young discuss PONO on the Late Show with David Letterman.